Since the earliest times, Christian communities have gathered on Sundays, the first day of the week, for their main worship services in celebration of the day on which Jesus rose from the dead. Here at Christ Church Cathedral, we have five Sunday services, each with their own distinct character. The 8 o’clock service is a small, quiet service with no music and the beautiful English of the Elizabethan era. It lasts about 50 minutes. Often, people go to a local restaurant for breakfast together after the service, and they are always pleased to welcome visitors and first-timers. The 9:00 service is a more intimate, informal service. Like the 10:30 service, it is a contemporary service which changes during the year to reflect seasons and themes. Coffee Hour, with fair trade coffee, is served after the service in the Undercroft. The 10:30 service is the largest service at the Cathedral and includes a full choir, organ music, and Sunday School. 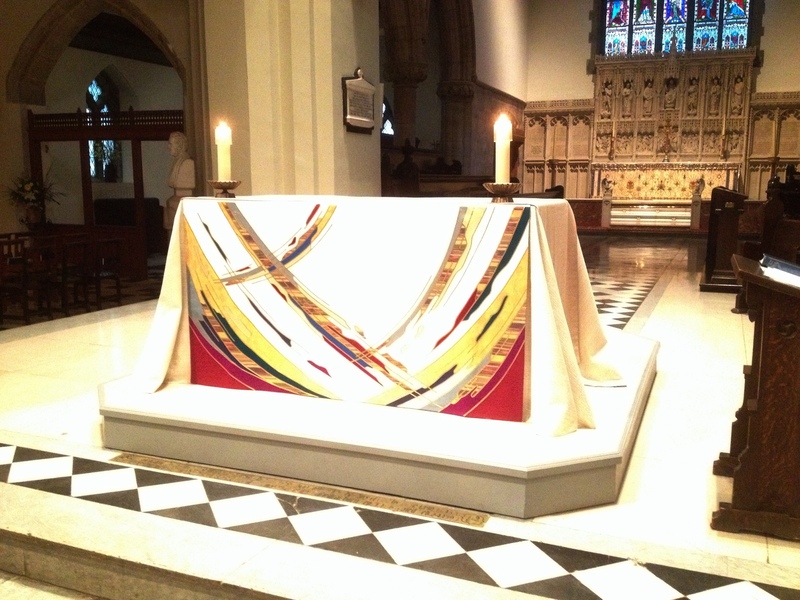 The service is contemporary and changes during the year to reflect seasons and themes. It finishes around noon. Coffee Hour, with juice, fair trade coffee, and cookies, is served after the service. The 6 o’clock service, on the first and third Sundays of each month, offers comtemporary music and a less formal communion setting. A time of fellowship follows the service.